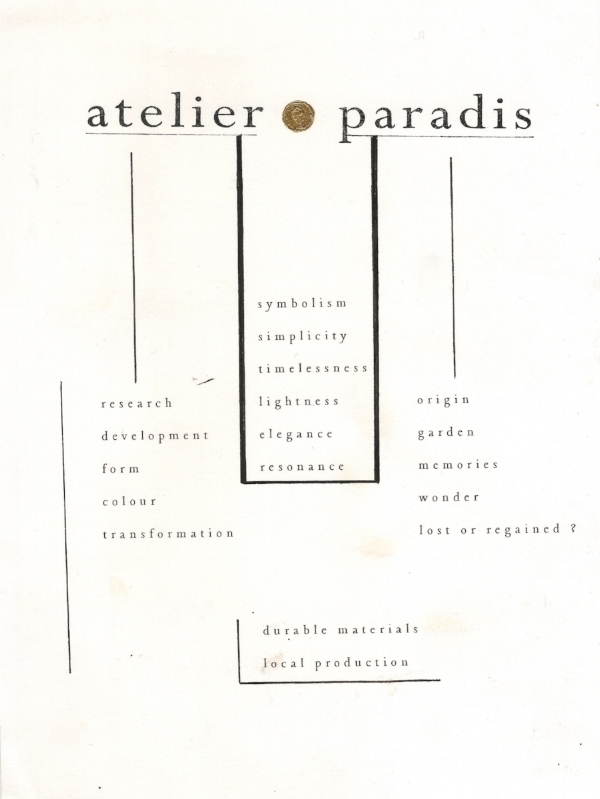 Atelier Paradis is founded by Patricia Hofstede. She is an interdisciplinary designer and painter based in Amsterdam. Fuelled by a love for colour, natural textiles and symbolism, she creates clothing and stage costumes with a classic yet modern twist emphasizing simplicity, elegance and spirituality. After years of fashion-industry experience, Patricia opened her studio, ‘Atelier Paradis’ nestled in Amsterdam, which is part boutique part laboratory. This hybrid home-base serves as a backdrop for her design work and her paintings and has enabled Patricia to open her door to interdisciplinary collaborations in the fields of the arts, music and theatre.